Twelve years in the making, this Studio Ghibli-inspired animation is the Chinese box office smash of Summer 2016 with over $85,000,000 BO. 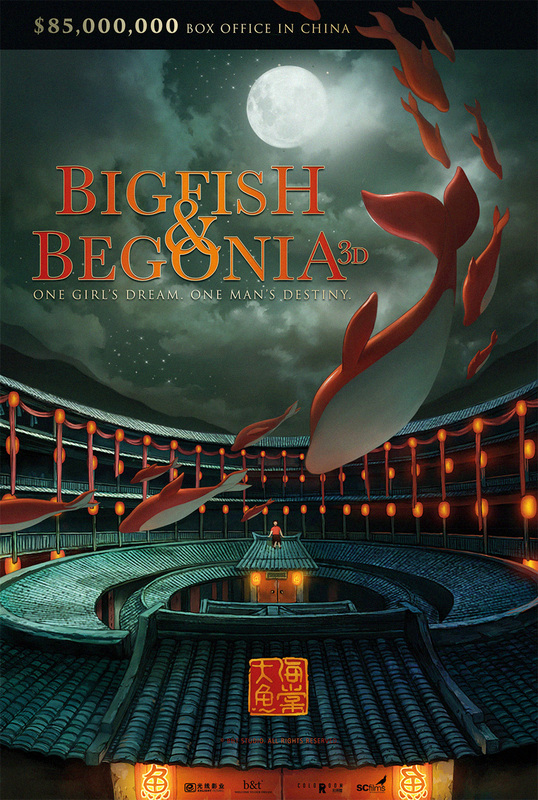 Drawing inspiration from classic Chinese literature, BIG FISH & BEGONIA is a beautifully crafted, fantasy animation film that took 12 years to make. It is inspired by Studio Ghibli style story-telling and imagery. BIG FISH & BEGONIA tells the story of a deity, in the form of a young girl (Chun) who seeks adventure in the human world, as a dolphin. Gods and humans cannot mix in this ultimate Romeo & Juliet love story from producers B&T Studio and Coloroom Pictures.